Unity “the state of being united or joined as a whole”. 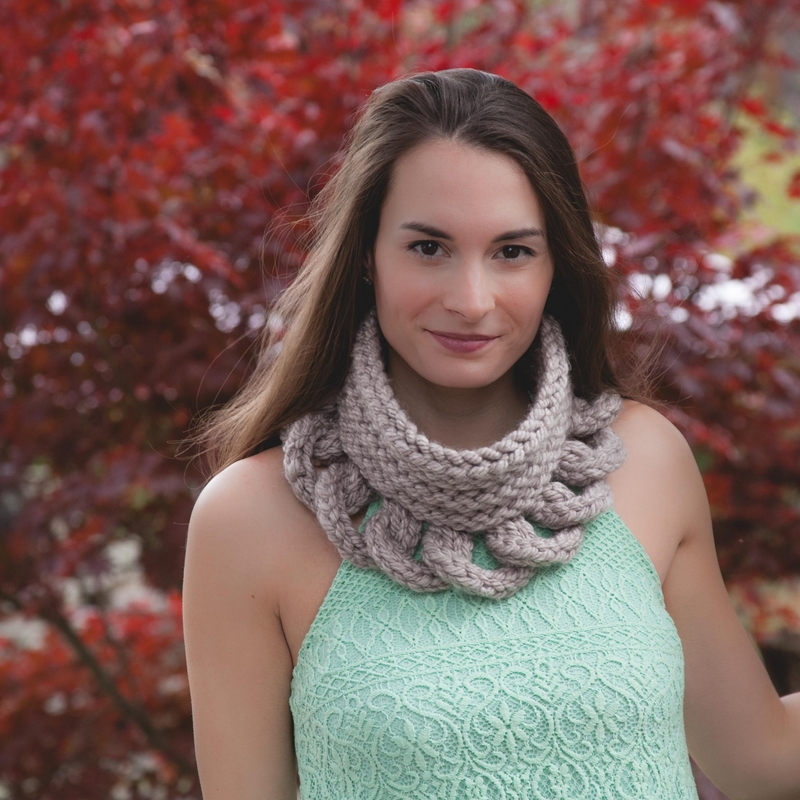 Designed on election day, this cowl was meant to symbolize our coming together as a nation. 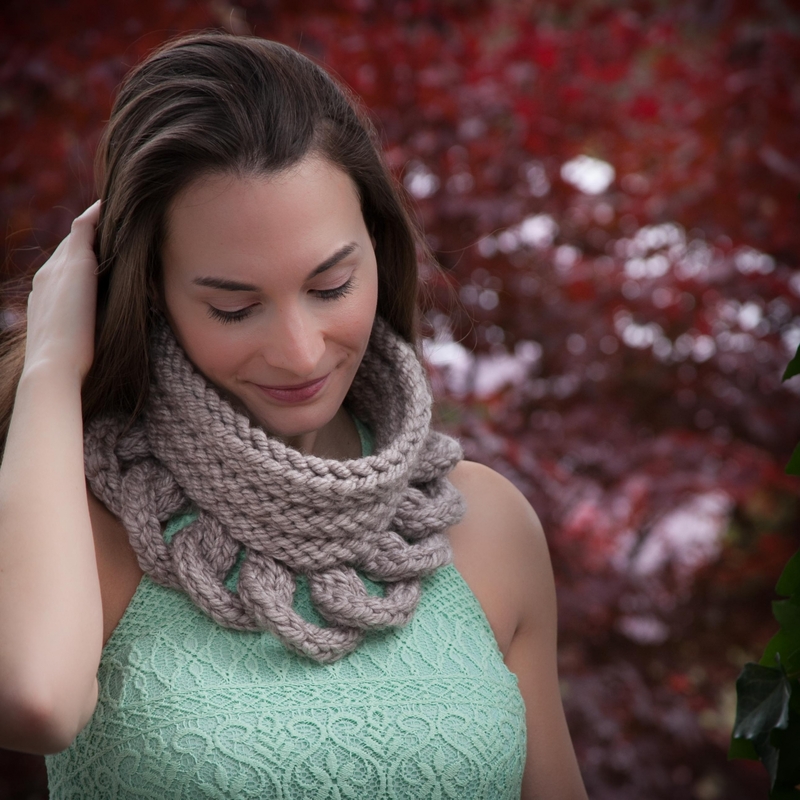 This cowl is modern, structural loom knit art. 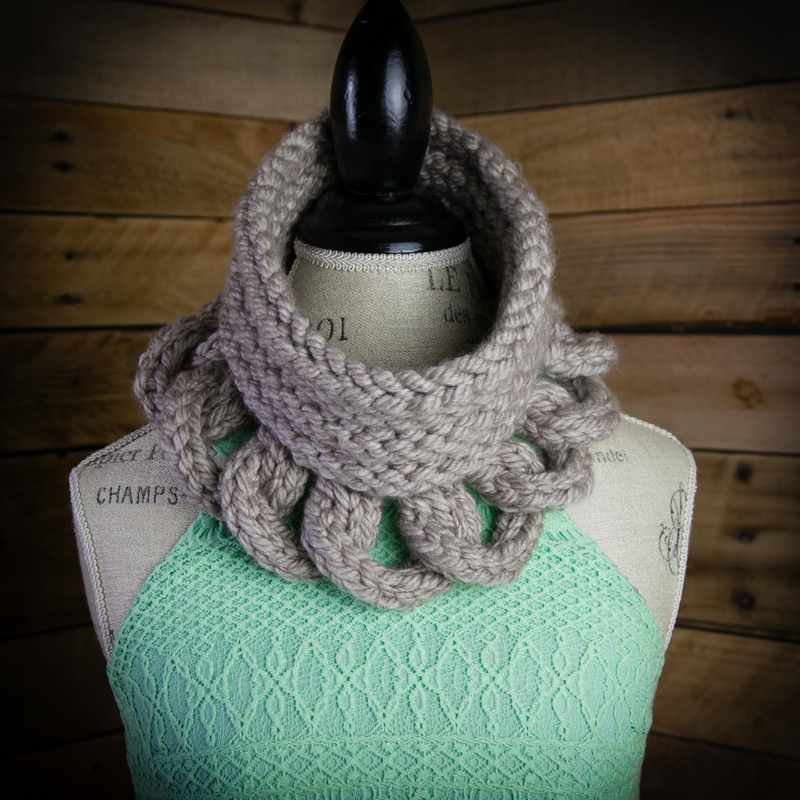 It is both functional and artistic, featuring a warm collar and a chain that lays like a necklace around the collar bone. Perfect for the fashionista who likes a standout piece. 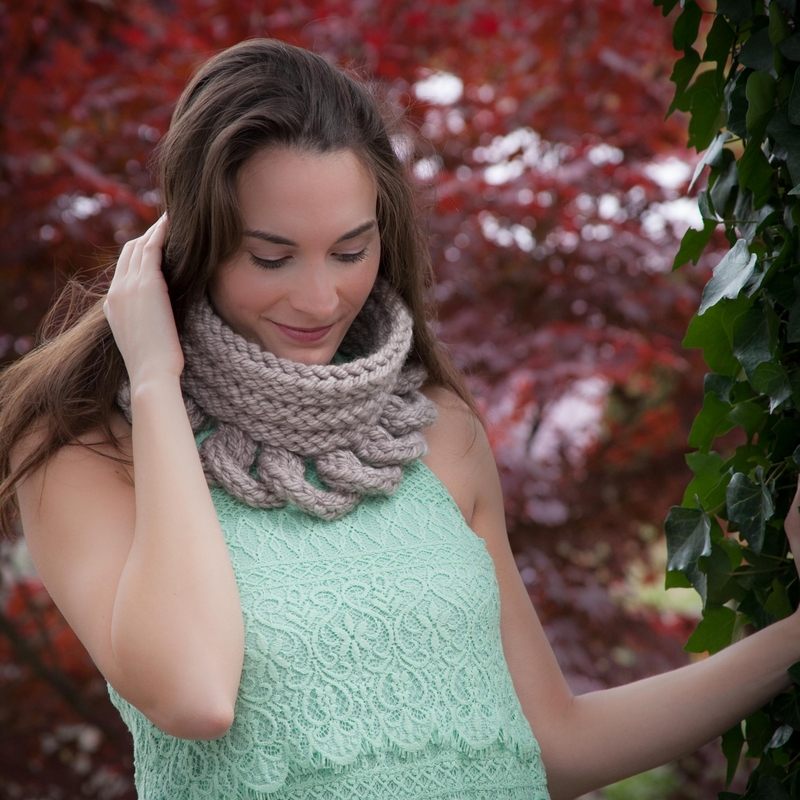 It is loom knit in one piece with no seaming. 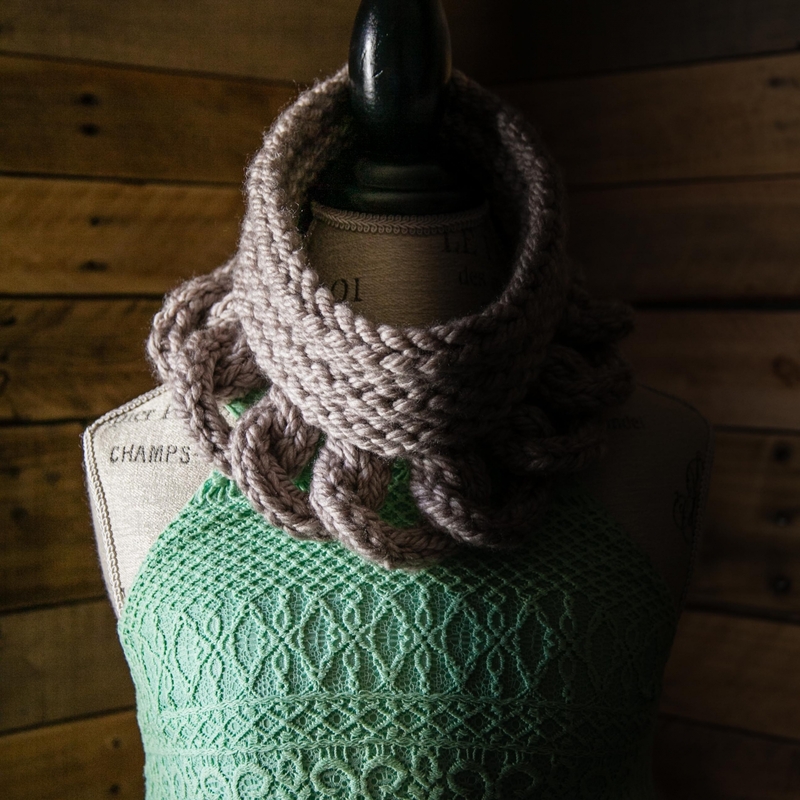 ALL pattern sales are FINAL and NON-REFUNDABLE once downloaded.